Put one and several together - squared glass vase and bin of shells. Shell Jar. and is now long finished with that learning fun. I love the shells! I gave my collection to my daughter who has a beach themed guest room. She has shelves around the top of three of her walls. Perfect for displaying her collection. She has some from her travels in Europe when they lived in Scotland for a year. The famous beach areas are not that far away when you are already overseas! Thank you for the welcome!! 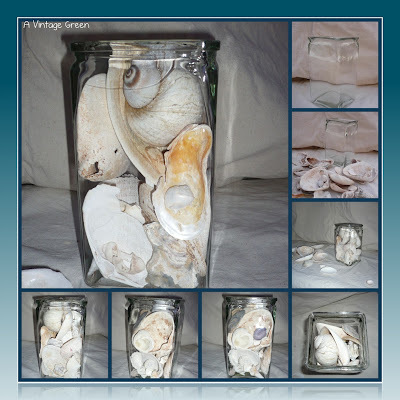 I just love the combination of shells and jars...so pretty! I love to see the beach brought home. I have some in my master bath, but I'd like more. Maybe that's a good excuse to go to the beach! Thanks for stopping by and following. 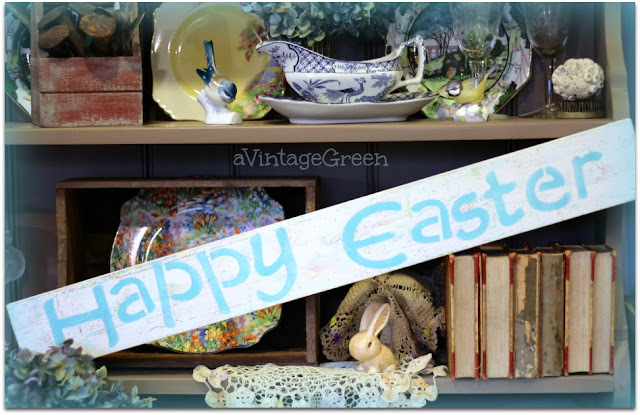 Vintage collecting and antique booths are among my favorite things so I can't wait to wander about in your corner of blogland. 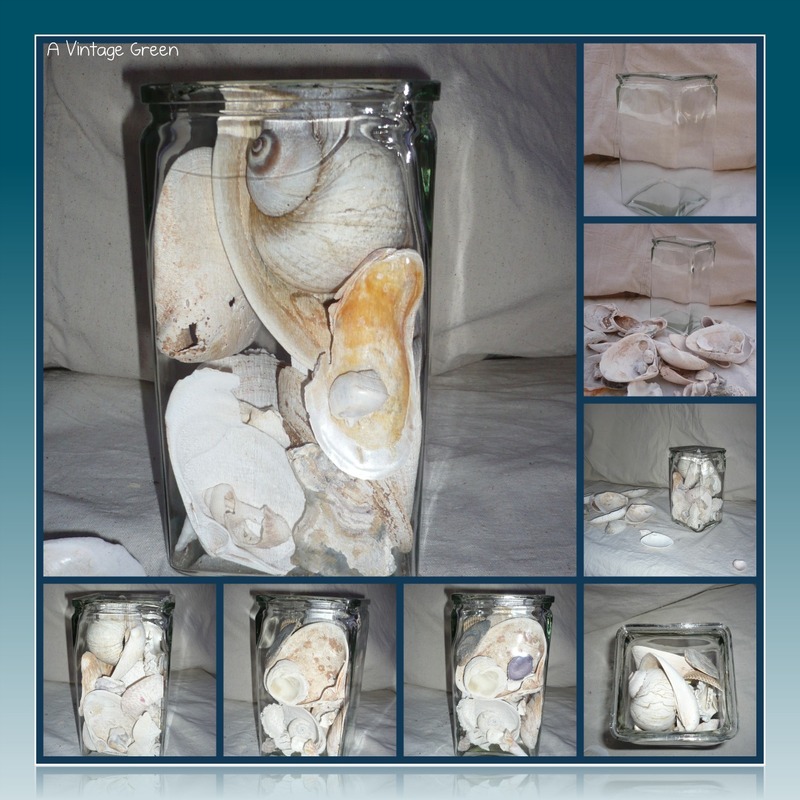 Such beautiful jars of shells! This is a perfect way to display them.